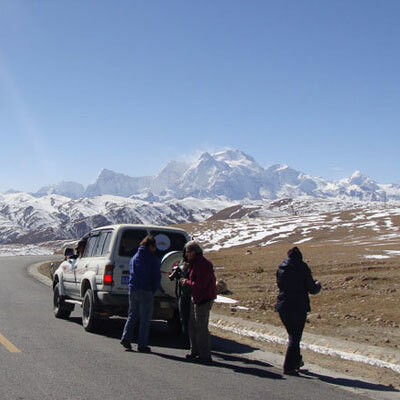 Lhasa Namtso Lake Trek with EBC is an exciting tour full of trekking and driving. Designed for those who wish to camp and walk in the midst of beautiful mountains, up and down the hills, this tour present a great opportunity to get along with nature. 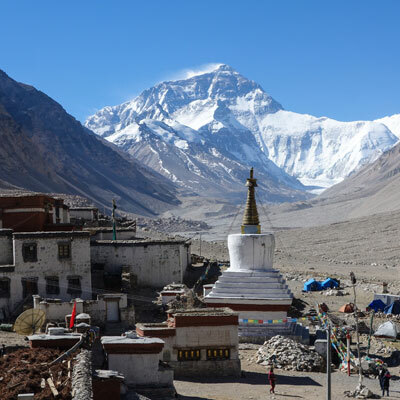 Throughout the trip you will be very close to the nature and you will experience a feeling second to no other when you watch the sunset in Everest, when you walk and drive along the great lakes in the topmost part of the world and when you move through the alpine villages and valleys in the Tibetan Plateau. 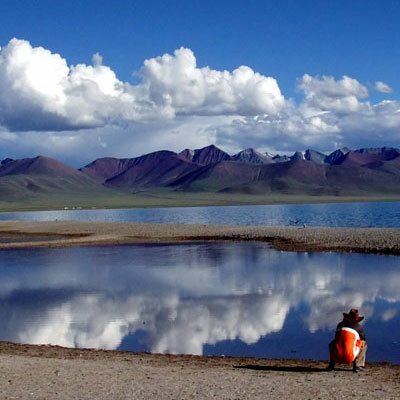 Lhasa Namtso lake trek with EBC is perfect for an adventurous family or a group of people from your work or college who are bored of concrete city and looking for something different, something natural. 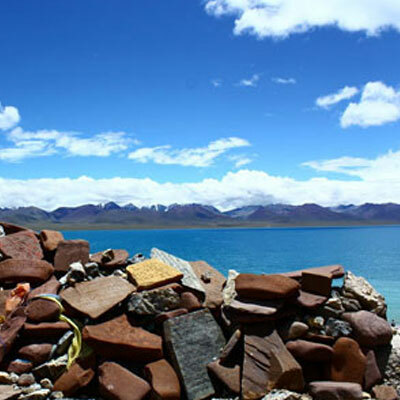 Lhasa Namtso Lake trek with EBC is a combo of the Lhasa experience with its great architectural example and the Tibetan untouched natural beauty. Day 02: Sightseeing of Lhasa city. Day 03: Sightseeing of Lhasa city. this day you will fly form Kathmandu to Gongkar airport, over the greatest mountains in the world, absorbing their timeless beauty. Upon the arrival you will be transferred to your hotel, where you will rest and get acquainted with the Tibetan Environment. Overnight at hotel. The second and the third day of the tour are dedicated to the Lhasa city and its marvelous architectural beauty. You will be visiting the Jokhang temple, Sera and Drepung monasteries and Potala Palace along with the Barkhor Street and the Lhasa streets. Jokhang temple which was constructed back ion 7th century attracts hundreds of tourist every year. This temple has a very huge Sakyamuni Buddha statue and is considered the holiest place in Tibet. 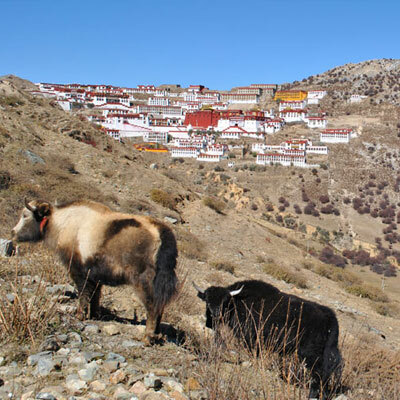 Sera and Drepung monasteries were founded in 1419 which are actually numerous white temples and Buddhist buildings in the foot of a rocky hill. Back in its days, Drepung monastery use to have 8,000 monks to teach traditions of Vajrayana, Mahayana, and Sutrayana, the three vehicles of Tibetan Buddhism. Potala palace with 1000 rooms and 13 stories to explore this is probably the most popular tourist attraction in Tibet. Elegantly decorated with hundreds of Thangka paintings, frescos and images created hundreds of years ago the Potala palace is a perfect example of how ancient monuments should be preserved. This is the day you will begin your trek. After a drive along the Tibet-Qinghai highway to Yangpachen and further to Damsung which is at the altitude of 4130m, we will have a short hike through the beautiful Tibetan meadow and call it a day and camp. We will also visit a monastery on the way. This day consists of 7-8 hours trek. In this day we pass through glaciated valley and herder’s camp where we’ll camp for the night. Descending to the Broad Basins and hiking along green Tibetan Meadows, today we will cross the Kong La from where we can have a amazing view of Namtso Lake and Nyenchen Thangla Ranges. His day we get to witness the nomadic camps and their herds of animals as we hike through green carpet of grasses. We will have a lunch by the lake and follow the jeep trial all the way to Tashi Do hermitage and finally camp at the end of the day. This day is put aside for self exploration of Tashi Do Hermitage and the lake. We drive back to Lhasa via Yangbachen. Spend the night at hotel. This we will drive via Yamdrok, the Turquoise Lake to Gyangtse across Kampa la pass 5050 m and Karo la (5045 m) passes. 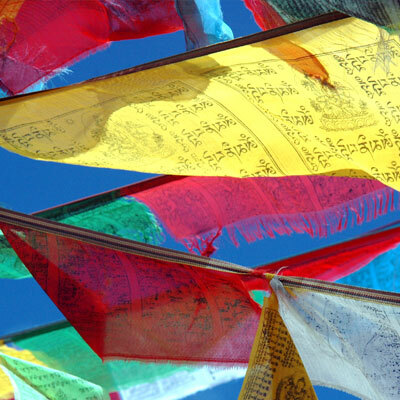 Visit Kubum stupa and Pelkor Chode Monastery. On the 11th day we will drive to Shigastse and on the way we will visit Shalu Monastery and Tashilhunpo Monastery, the seat of Panchen Lama. Panchen Lama is considered second highest Buddhism Tutor in Tibet after Dalai Lama. Drive to Shegar across Tsoula pass (4500 M) and Gyatso la pass (5220 M). En route visit Sakya Monastery. Drive via Pangla pass (5200 M) to Rongbuk Monastery which is the world's highest monastery situated at 5200 M. we call it a day and rest in Rongbuk Guest House. We will get a fabulous opportunity to watch sunrise over Everest in the Rongbuk which is about 4 Km away from the northern base camp of the Everest. After watching sunrise over Everest, we drive on to Nyalam and settle there for the night. On the final day of this tour we will drive to Zhangmu and on to Kathmandu. On the way we will stop by to visit Milarepa Cave. Descending from the high Tibetan Plateau to the lush greenery of Nepalese country side will be the perfect ending of this fantastic tour.